YONKERS, Westchester County (WABC) -- Police in Westchester County have arrested a Yonkers man in connection with a deadly hit and run that claimed the life of a teenager on the Saw Mill River Parkway Monday. Junior Silverio-Ventura, 19, is now charged him with felony leaving the scene of a fatal motor vehicle accident. He is being held on $50,000 bail. The incident occurred around 2:50 a.m. on the northbound Saw Mill River Parkway near McLean Avenue in Yonkers. Authorities say a Nissan Sentra that had a flat tire and was stopped in the roadway was rear-ended by an Acura TSX. The occupants of the Acura abandoned that vehicle and got into another car, also an Acura TSX, and fled the scene. Detectives were able to identify the persons involved in the incident and charged Silverio-Ventura with being the driver of the Acura that rear-ended the Nissan. 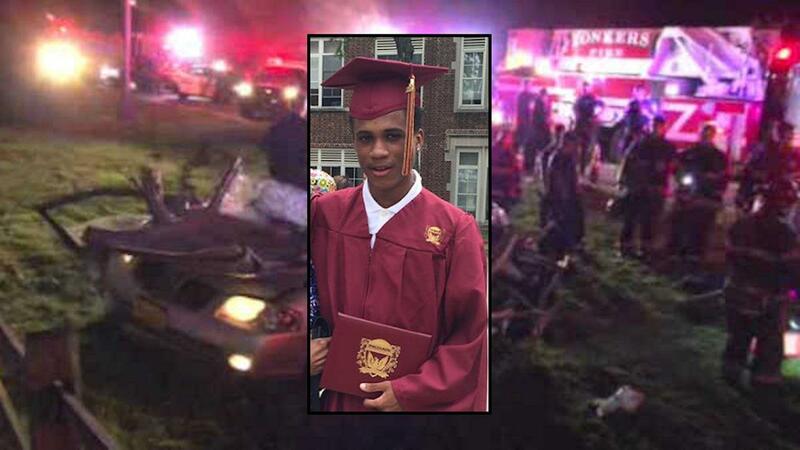 Zachary Dunn, 18, of Yonkers, the driver of the Sentra, was fatally injured in the collision. His passenger suffered non-life-threatening injuries. Commissioner George N. Longworth said the investigation was continuing, and additional charges were possible. Dunn was just one day away from starting school at Westchester Community College after he had graduated from Palisade Prep in June. Police say they're still looking into whether drag racing was to blame, but they do confirm speed and reckless driving were factors. They are planning to interview more people, and there could be other arrests. Anyone who has information about the incident is asked to call Westchester County Police at 914-864-7701. All calls are confidential.